Shirley Sue Partin, age 75, of Mahan Road, Siler, Kentucky departed this life on Wednesday, November 21, 2018 at her home. She was born on October 22, 1943 in Siler, Kentucky to the late John Smith Mahan and Nellie (Bennett) Mahan. She was also preceded in death by two brothers, Chester and Elmer Mahan and three sisters, Jincy McKheehan, Mary Ann Taylor and Arzella Mahan. 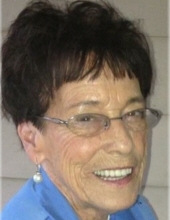 Shirley was a graduate of Poplar Creek High School, she received her Bachelor’s Degree in Elementary Education at Cumberland College and her Master’s Degree in Education at Union College. She retired as a teacher in the Whitley County School System where she taught at the Poplar Creek School for more than 20 years. She was a member of Beechbottom Church and attended Anthras Baptist Church. She is survived by her husband, Rev. Johnny Partin of Siler; three sons, Dana Ray Partin (Melody) of Siler, Jimmy Lee Partin of Atlanta, Georgia and Dr. David Jeffrey Partin of Siler; two grandchildren, Kayla Fox (Ryan) and Eddie Reed Partin; three great grandchildren, Max Fox, Mallori Fox and Kash Fox; two brothers, Edward Mahan (Betty Sue) of Corbin and Vester Mahan (Anis) of Burlington, Kentucky; several nieces and nephews; and a host of other family and friends to mourn her passing. Visitation will be after 6:00 P.M. Sunday, November 25, 2018 at Croley Funeral Home. The Funeral Service will be at 11:00 A.M. Monday, November 26, 2018 at the Croley Funeral Home Chapel with Rev. Ronnie Rose and Rev. Dana Akins officiating. Following the Service she will be laid to rest in the Goins Cemetery. To send flowers or a remembrance gift to the family of Shirley Sue Partin, please visit our Tribute Store. "Email Address" would like to share the life celebration of Shirley Sue Partin. Click on the "link" to go to share a favorite memory or leave a condolence message for the family.